No prerequisite for the beginner and intermediate painting courses or for the drawing course. 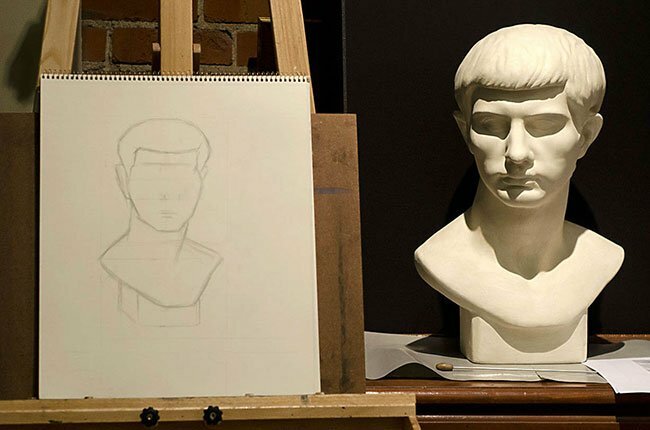 The advanced painting course and the portrait course require basic drawing skills. Call us if you are unsure. Courses are offered in blocs 10 sessions of 3 hours. You can use your course sessions at your pace, once a week or more often. You can take missed sessions later without penalty. Courses are dispensed all year long with a break in July and August. Painting and drawing courses are given to small groups with a maximum of 8 students and an average of 4 to 5. Not sure? Take a free trial for ongoing courses (painting, drawing) and for the children's courses. Ongoing painting and drawing lessons, start at any time! 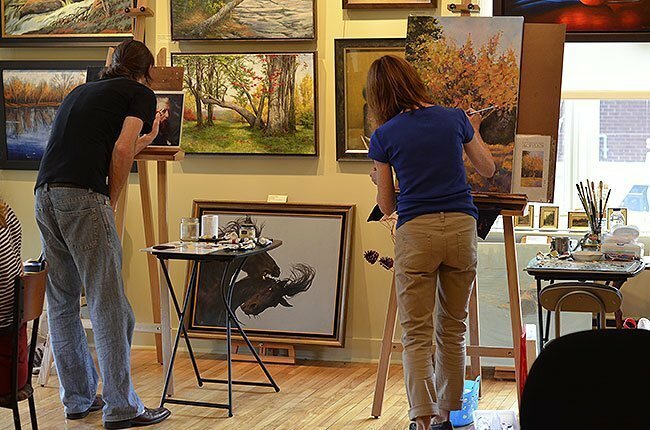 Only a few minutes from downtown Montreal, the Atelier-Gallery occupies the ground floor of a historic building in the heart Saint-Lambert on the South Shore of Montreal, between Brossard and Longueuil. The Atelier, adjacent to the train station, is easily accessible by car and public transportation. Parking is free at the back of the building. From Metro Longueuil take bus number 1, 6 or 106 and get off at the station stop. Contact info and map. Our teachers all have long-standing experience and will give you the foundations and the techniques that will enable you to develop your abilities quickly and with pleasure.